Fig. 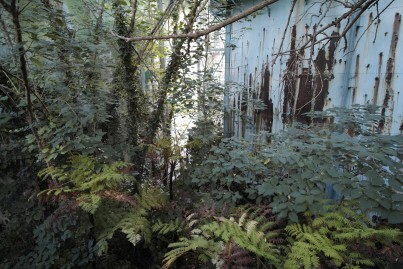 1 Installation view of Pteridophilia 1, by Zheng Bo. 2016–ongoing. Video, duration 17 min. 14 sec. 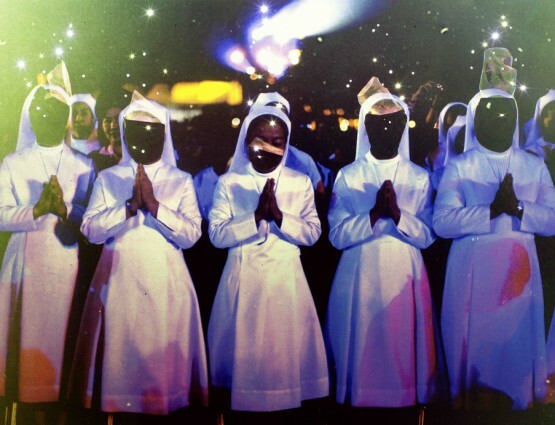 (Courtesy the artist; photograph Wolfgang Träger; exh. Manifesta 12, Orto Botanico, Palermo). Fig. 2 The Drowned World, by Michael Wang. 2018. Environmental installation. (Photograph Wolfgang Träger; exh. 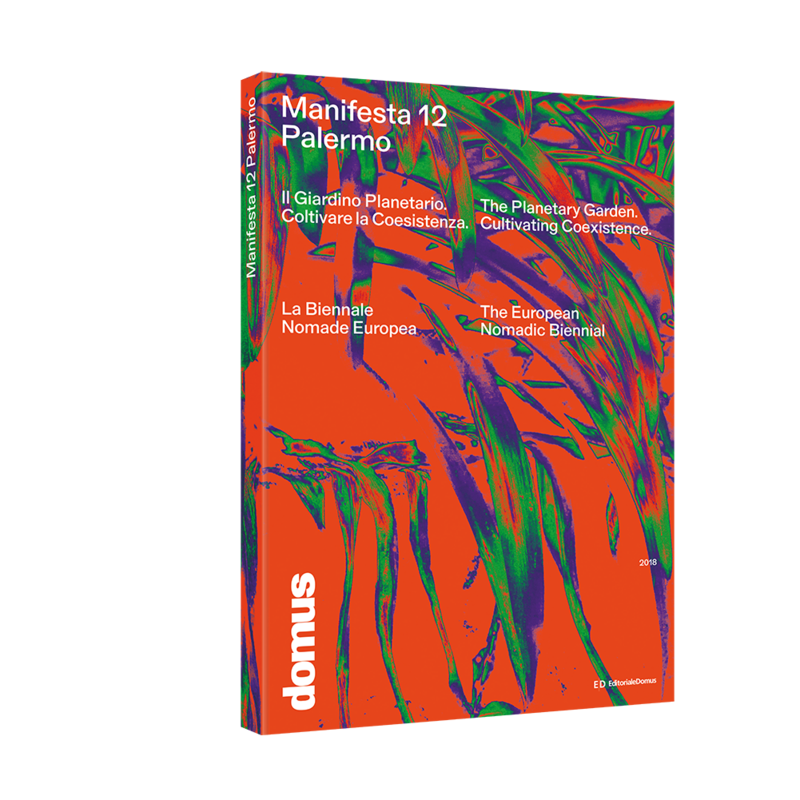 Manifesta 12, Orto Botanico, Palermo). Fig. 3 Protocol no. 90/6, by MASBEDO. 2018. Site-specific video installation (Courtesy the artists; photograph Francesco Bellina; exh. Manifesta 12, Sala delle Capriate, Archivio di Stato di Palermo). Fig. 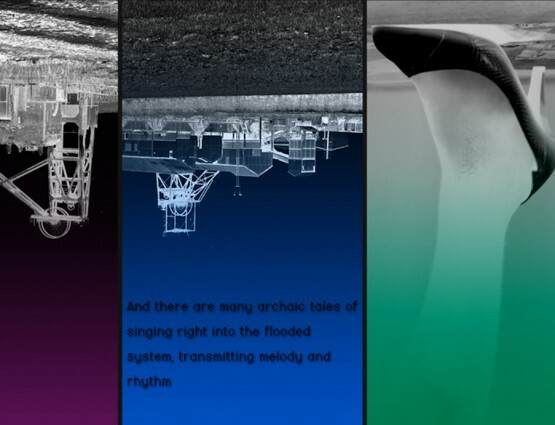 4 Liquid Violence, by Forensic Oceanography. 2018. Video Installation. 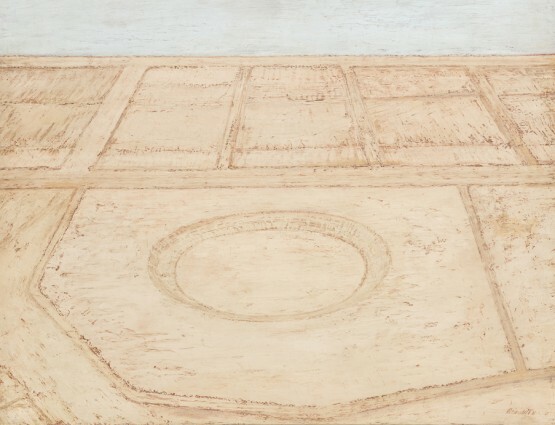 (Photograph Wolfgang Träger; exh. Manifesta 12, Palazzo Forcella De Seta, Palermo). Fig. 5 Theatre of the Sun, by Fallen Fruit. 2018. Mixed media installation. (Photograph Wolfgang Träger; exh. Manifesta 12, Palazzo Butera, Palermo). Fig. 6 Detail of Theatre of the Sun, by Fallen Fruit. 2018. Mixed media installation. (Photograph Wolfgang Träger; exh. Manifesta 12, Palazzo Butera, Palermo). Fig. 7 Installation view of Clementine Keith-Roach: Herm, Edizioni Precarie / Botteghe Colletti, Palermo, 15th–29th June 2018. (Photograph Camille Bokhobza). On Sunday, 10th June, Italy’s Interior Minister, Matteo Salvini, refused permission for the Aquarius, a humanitarian ship carrying 629 migrants, to dock in Sicily. Four days later, the twelfth edition of Manifesta opened in Palermo, with the explicit aim of illustrating Sicily’s openness to the myriad cultures that have formed it – Phoenician, Greek, Roman, Arab, Jewish, Spanish, Christian, African, Sicilian and Italian. The conjunction of these two events could hardly have provided a more apt stage for this most political of biennials. Conceived by Dutch curators in 1993, Manifesta has occupied a different European city every two years (some more successfully than others – the Nicosia and St Petersburg editions were both overwhelmed by the realpolitik of their locations). In Palermo the Biennale has found an arresting match for its ambitions. Under the direction of its curators, Bregtje van der Haak, Andrés Jaque, Ippolito Pestellini Laparelli and Mirjam Varadinis, Manifesta 12 has not just alighted, but burrowed itself into the city’s fabric, opening up its subterranean past to reflect on the complex underpinnings of contemporary European migration, cross-border conflict and mafia-style politics. The theme of Manifesta 12, ‘The Planetary Garden: Cultivating Coexistence’, is subdivided into three sections: ‘Garden of Flows’, ‘Out of Control Room’, and ‘City on Stage’. At the eastern edge of the old Arab quarter, Palermo’s botanical gardens provide a fertile setting for the ‘Garden of Flows’. 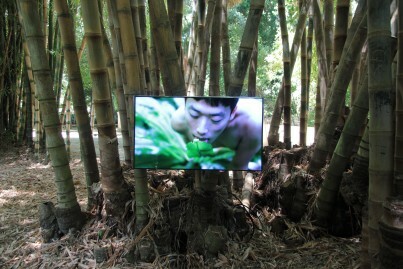 Among the ginkgo trees, succulents and bamboo groves, the Chinese artist Zheng Bo has planted a monitor fed by a length of plastic-covered cable that snakes through the undergrowth. His film Pteridophilia takes cross-fertilisation literally FIG. 1. Seven naked young men walk into a fern forest to gorge on and make love to the plants: ‘eco-queer potential’, the artist calls it, although he is easily outdone by the hellzapoppin protuberances that abound in these exotic surroundings. In one of the pavilions at the entrance to the gardens, designed by Léon Dufourny in 1789, Malin Franzén has created Palermo Herbal, a series of monochrome prints that combine a colour-pressing technique invented by the seventeenth-century Sicilian botanist Paolo Boccone with contemporary visual imaging. The plants Franzen has chosen have all been plucked from polluted water and, more fluidly than Zheng Bo, her prints illustrate the thin divide between nature and science, good husbandry and reckless despoliation. At the southern end of the gardens, past the giant ficus and palm trees and beyond the miniature lake, Michael Wang presents a wry look at the behaviour and morphology of our own species FIG. 2. A staircase built against the end wall, overlooking Palermo’s former ‘gasometro’ site surveys the industrial plant, now derelict and inaccessible due to toxicity. The Drowned World is a subtle riff on the evolutionary cycle by which plants rot down into coal, coal burns into carbon and carbon threatens the botanical garden. Nearby, the Palazzo Chiaramonte-Steri is hosting one of the many collateral events of the Biennale (sixty are listed on ‘My Art Map, Palermo 2018’). Yahon Chang has hung the walls of the Sala delle Armi with banner-like paintings, using traditional Chinese black ink applied to bed sheets with brushes the size of mops. They could be seen as a reference to the laundry hung from every balcony in Palermo, or to Chang’s own past selling curtains and carpets. But they also nod to the history of the Palazzo, built in the fourteenth century for the notorious tax-collecting Chiaramonte family before it became the Inquisition’s main seat for over a century and a half (1601–1782). Here, ghostly inkings on the former prison walls are the remains of murals, drawings and the last words of prisoners condemned to death. Chang’s intervention softly evokes one side of Manifesta’s ideas of co-existence: of non-European traditions that enlarge our view of the world; of power imbalances that hold some people subject to others; and ultimately of the possibilities of fusion, between east and west, north and south. Less accommodating to their hosts are the exhibitions devoted to big names such as Martin Kippenberger (organised by the Swiss Institute and curated by Samuel Gross) and Shozo Shimamoto (curated by Achille Bonito Oliva and supported by the Morra and Sant’Elia Foundations), both shown in adjacent parts of the Palazzo Sant’Elia. For all the elegance of this restored eighteenth-century building, these shows feel like monologues rather than meetings. And Manifesta 12 excels in meetings. The most spectacular of these is Protocol no. 90/6 by MASBEDO (the Milan-based duo of Nicoló Massazza and Iacopo Bedogni) in the State Archives of Palermo FIG. 3. The new State Archives are housed in a Mussolini-era building by the port. But MASBEDO have opened up the former convent of La Gancia di Palermo, where archives dating back to the seventeenth century are kept. In what feels like a sequence from a Peter Greenaway film, small groups of visitors are shepherded upstairs to the Sala delle Capriate. The space has been untouched for so long that larger numbers might disturb its contents. But what contents, and what a room. Rising three stories high to a vaulted wooden ceiling and extending ten rows deep across the floor are documents – wills, contracts, marriage banns, death certificates, rent books, summonses, land holdings, financial transactions, court records, tribunal hearings – each thick with dust, uncatalogued and petrified, as if memory were compostable like plants. 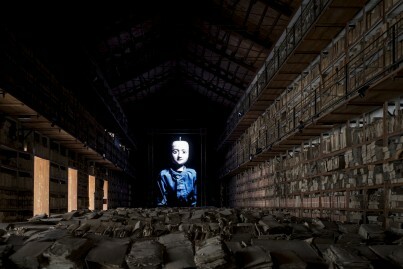 At the far end of the room is a full-height screen, showing a looped video projection of a wooden puppet, dressed in blue overalls. His wooden limbs clunk about, the only sound in the otherwise silent world of sleeping archives. The puppet was made specially for the video by Mimmo Cuticchio, an acclaimed Sicilian ‘puparo’, who manipulates the mannequin using a wooden pole through his head. This collateral event was initially given permission to run for the first week of Manifesta only, but its success has been so overwhelming that the authorities agreed to extend it. MASBEDO appear in a second section of the Biennale, ‘The City on Stage’, where churches, chapels, theatres, museums and forsaken palaces have been mobilised into telling the story of Sicily’s position at the crossroads of Mediterranean Europe. In the Palazzo Costantino, a crumbling, Fellini-esque building organised around a courtyard of double-order loggias, MASBEDO run films about Sicilian life from a mobile van; Jelili Atiku sets up a procession of wooden votive figures, some Yoruba, some European, many clasping plants to their chests; and Roberto Collovà documents the results of Sicily’s urban expansion along its southern coast, where new atolls and promontories have arisen from building materials illegally dumped into the sea. 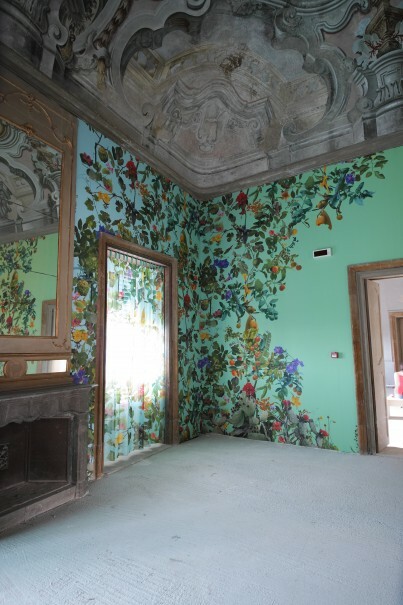 More palaces are requisitioned for the ‘Out of Control Room,’ Manifesta’s third section. The Palazzo Ajutamicristo and Palazzo Forcella De Seta, both dating from the fifteenth century, vie for political honours. In the former, Lydia Ourahmane has composed a symphony from twenty oil barrels. Inside each is a mobile phone tuned to an FM frequency so that they all play in sympathy; born in Algeria, Ourahmane knows from the inside, so to speak, the economic power of oil. In the latter, Forensic Oceanography (Charles Heller and Lorenzo Pezzani) construct a mindgame in their film Liquid Violence FIG. 4. 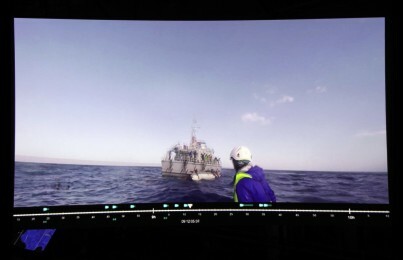 Like their brothers-in-arms, Forensic Architecture, nominated for this year’s Turner Prize, they plot the course of migrant ships as they navigate wind and tidal patterns, shipping lanes and the regulations of governments unwilling to accept them. The collective strikes a potent and persistent note at this Biennale. The better-known artists – Tania Bruguera, Kader Attia, Laura Poitras – all underwhelm. But at the Palazzo Butera the Californian collective Fallen Fruit (David Burns and Austin Young) have produced a ‘mock-baroque’ take on Sicilian architecture FIG. 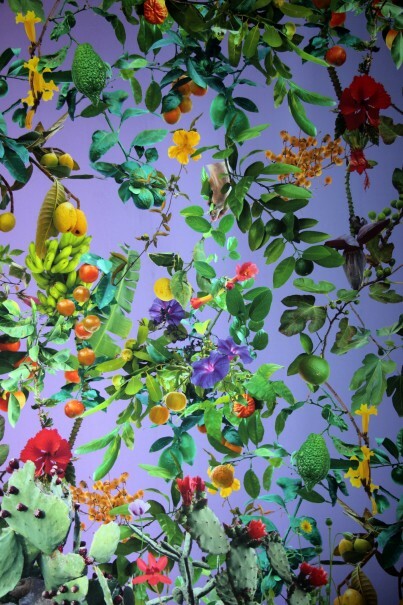 5 with their day-glo wallpaper of fruits and flowers FIG. 6, coupled with a free Fruit Map, which identifies the fruit trees in Palermo’s public spaces, and also includes recipes for granita, limoncello and marmalade (a separate collective, called Cooking Sections, also features among the fifty official entries). If collectivism is the backbone of this edition of Manifesta, its freshness comes from its determinedly communitarian focus. Unlike Venice, now entering its fifty-eighth iteration, it has not succumbed to overt corporate branding. There are no major commercial galleries taking palaces to host important collectors or museum trustees. There are no selective parties for individual artists or that serve individual national interests. There are no prizes awarded for entries, and there are no VIP days when only those with monstrous yachts are allowed in to see art. Manifesta, so European in its central funding model, so European in seeking a balance between social, public and individual good, has carved out a distinctive place for itself – somewhere between the frenzied sprawl of Venice, and younger Biennales such as Gwangju or Kiev, designed to bring attention to their cities. ‘Manifesta is not a foreign body fallen upon the city like a meteorite’, said Palermo’s Mayor, Leoluca Orlando, at the opening, ‘but a result of sharing and fostering visions, aspirations, projects and dialogue’. As a fleeting footnote to the event, a collective of female papermakers on the via Alessandro Paternostro have taken the Mayor’s words to run with it. Inspired by Manifesta 12, but not affiliated to it, Edizione Precarie has staged a modest exhibition in two parts, working with the English artist Clementine Keith-Roach FIG. 7. In the window of their shop they have hung a sheet of papier-maché, imprinted with the artist’s body. 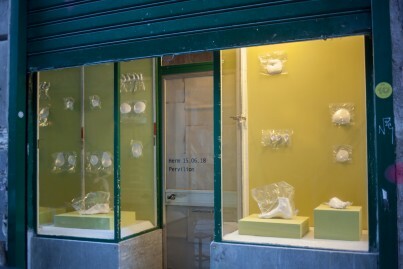 Opposite, in windows belonging to the local bottega, hang plaster casts of her body - breasts, feet and ears all vacuum-packed, like the vast quantities of Sicily’s export produce, ready for global shipment. It is a small testament to Manifesta’s power to prick local interest and get it germinating. Andrea Rose is former Director of Visual Arts at the British Council.